If you are planning to travelling in Bali together with relatives or extended family, Bali Safest Driver provides microbus that can accomodate 13 to 17 passengers. Our big cars is very comfortable to wear when you travel with your group or colleagues. In addition to cool air conditioning this car also large space, so not crowded and most af all you can enjoy your trip to explore a beautiful destination in Bali. Together with us your holiday will be more memorable. You do not have to worry about the safety of your trip, because our drivers are experienced professional drivers. Our drivers also very good english speaking, so you can communicate well with them. Our big cars Isuzu Elf by Isuzu Seat can accommodate 13 to 17 passengers, the cabin design is convenient for tourist transport. All seats with headrest and can be adjustment make your trip in Bali memorable one. We have Toyota Hiace which is the most comfortable, exclusive and convenient medium bus. This exclusive micro Bus Toyota Hiace able to accommodate 15 passengers with luxury wide interior. 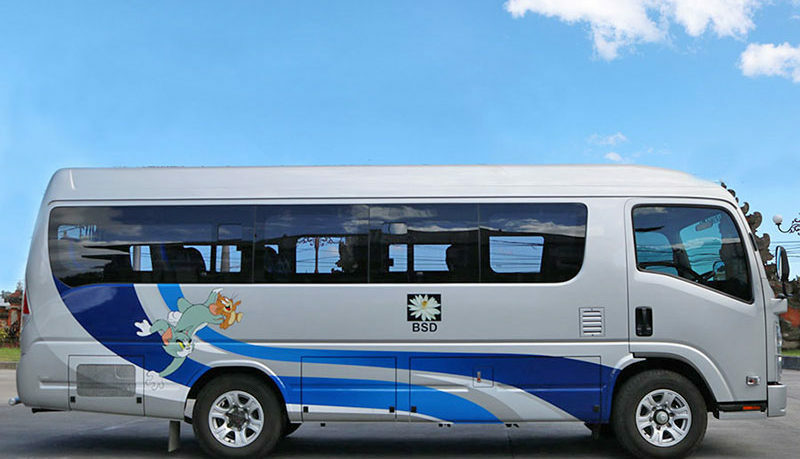 The latest technology and new minibus design will ensure you has a pleasure travel experience in Bali Island. The exterior of Toyota Hiace offer the luxury looks. The front grille and fog lamp blend with the front bumper give the vehicle the elegance impressio. And all of this support the safety in rainy or foggy conditions. Bali Safest Driver offer the Big Cars Charter with the experience driver who ready to drive you explore all beautiful places on the Island. Don’t waste your time and simply click on contact now! to get your excellent car charter for memorable holiday in Bali.